The lack of surprises in the ECB's interest rate cut didn't help gold's case yesterday, and the ongoing deterioration of the global economic picture is keeping inflation fears away. Furthermore, as investors rushed into the dollar, gold prices dropped $10.2 to $1,605.00, with the precious metal losing the battle of the safe havens once again. US crude oil futures posted a slight decline to $87.22 yesterday, driven by a strengthening US dollar and fading hopes that the central banks would add more stimulus than the CFD trading markets expected. This came despite a surprisingly higher-than-expected fall in the US weekly crude inventories. The gold spread trading market paused for breath yesterday, as investors decided to wait on the sidelines ahead of the crucially important central bank meetings in the UK, Europe and the US over the next two days. In the end, the precious metal saw a slight decline of $2.07 to $1,614.80, with an anaemic daily range indicative of the quietness in the markets. Some mild profit taking after the last few days' rally sent the price of WTI crude oil $0.69 lower yesterday, with the market closing at $87.06. Energy investors will be carefully watching the ECB and BoE meetings today, hoping for additional stimulus measures that should kick-start increased demand for oil. Since global coordination has been mentioned a few times, it could be an indication that the Fed will follow suit tomorrow, however this seems unlikely ahead of the Presidential elections. Signs that the economic recovery remains tepid fuelled speculation that the central banks will be forced to adopt extra measures to spur growth. 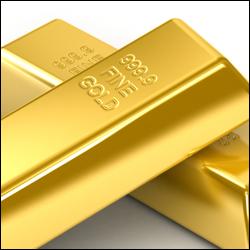 As a consequence, many investors looked to buy gold as a store of value. The precious metal gained $20 to $1,616.90 and could post a more significant recovery if QE3 is announced in the US. With Iran back in the headlines, it was only a matter of time before a risk premium was added back into the price of crude oil. Yesterday, we seemed to see exactly that as US crude surged by $3.99 to $87.66. The rally might have also been accentuated by some short covering ahead of the ECB and BoE meetings and Friday's US Non Farms data. The gold market fell back to $1596.9 yesterday, driven lower by a stronger dollar and slightly weaker US equities. Commodity spread trading investors are wondering whether the EU has done enough to remove some of the immediate concerns or whether the ECB's expected rate cut will actually satisfy the markets. Nymex crude oil prices lost $0.90 yesterday, closing at $83.75, as optimism regarding the EU's plan was quickly replaced by worries of another dip into recession. By and large, yesterday's manufacturing data from around the world was disappointing and so this weighed on the energy markets. It also seems that the ongoing Iranian threats to close the Strait of Hormuz were pushed to the back of traders' minds as they provided limited support. The global commodities markets cheered the EU decision to ease the bailout rules for banks and the feel good factor sparked a sharp recovery in precious metals. As risk appetite made a comeback, gold futures gained $46 to $1,597 and briefly broke above the $1,600 mark. A commitment by Europe to use funds for bailing out banks directly was met with a sigh of relief by energy investors who pushed the price of US crude oil $6.50 higher to $84.96. Crude prices were the best performers in the commodities markets. Nevertheless, the climb in US crude was accentuated by returning fears over Iran's threats to close the Strait of Hormuz. Gold bounced on the news of the Eurozone banking agreement, as the commodity failed to hold below the $1,550 level for the seventh time since July 2011. The bounce has been pretty reasonable, as every bounce from here has been, but the bulls must be very worried about the precious metals reaction if the support levels break. For today however, we can be more hopeful. We are currently trading at $1,570, with bullish targets of $1,574/76, and then $1,580/82, followed by $1,588. The bears have battled to force the market lower but, unless we close below $1,535/1540 soon, the pressure might start to build for the upside. Oil is weakening again and we are seeing a slight fading in geo-political tension in the Middle East. As a result, the natural antagonism between OPEC nations when prices start to slide may well rear its head. OPEC nations depend massively on the flow of oil dollars as many have virtually no other notable sources of revenue. If the price falls then the temptation to sneakily pump more becomes almost too large to ignore. The effects of ever increasing social systems across the globe have created massive problems for treasuries. Countries which, five years ago, would have been happy with the price of crude oil being above $50, are now seemingly in real fiscal trouble when it moves below $100. At the moment, the price of crude seems to be finding it much easier to fall rather than rise. With Brent crude oil now trading in the low $90's, buyers are once again looking nervously over their shoulders. Support is at $92.40/50 and $91.75/85, with resistance at $93.10/20 and the recent highs of $93.90/94.00. Gold is reacting in much the same way as many other commodities in recent months, by following the stock markets lower. In theory, there is really strong support all the way down from the current level of $1,570 to $1,525/1530. However, if we manage to fall below $1,525 then all the buyers of the last few years may start to look for the exit. The long-term trend was broken back in May, but if we were feeling very bearish then there is a chance that the move lower could actually degenerate into a full blown bear market. This could even bring us back into the very long-term value area which is currently between $680 and $1,000. For today though, we have support at $1,565/67 and $1,558/60, with major support down at $1,525/30. Resistance is at $1,575/77, $1,581/83 and $1,588/90, with major resistance at around $1,635/40 which has capped the recent rallies. Doubts that the upcoming summit will have a significant impact pushed gold prices $14 lower to $1,571 yesterday. The trading session was a rather quiet one, mirroring the waiting game seen in the equities and dollar markets. This morning the precious metal is at $1,569. A surprisingly better-than-expected US housing report supported US crude yesterday, helping the market settle $0.13 higher at $79.36. However, Brent crude oil was the main driver for energies as it closed $2 higher on the back of a strike by Norwegian oil workers. At the same time, concerns about crude supplies made headlines as the embargo on Iranian oil comes into effect on Sunday. The gold spread trading market continued its rally yesterday, adding $10.35 to $1,584.05, on the back of safe haven demand as Europe struggles with its debt problems. Some short covering after last week's decline may have also played a role. Amid signs that central banks have opted for restructuring, rather than expanding, their balance sheets, we still have plenty of uncertainty on the cards. This morning the precious metal is flat at $1,583, with near-term support and resistance at $1,565/54/43 and $1,596/1604 respectively. WTI crude oil prices resumed their slump yesterday as energy investors are becoming increasing nervous that European leaders will fail to solve the debt crisis. In the meantime, Tropical Storm Debby did less damage than initially predicted in the Gulf of Mexico, and this has removed some of the risk premium. Overall, WTI crude oil lost $0.55 to close the day at $79.21. The bears are still in control this morning, managing to drag the market down to $78.90 at the time of writing. In commodities trading, gold interrupted a string of three straight declines by managing to add $7.60 to $1,571.70. This came as a worsening European debt crisis spurred demand for precious metals. However, gold futures continue to remain under the $1,600.00 mark as a deflationary environment works against the metal in the short term. The price of US crude oil rallied $1.65 to $79.76 a barrel on Friday, driven by a slightly weaker dollar and a modest recovery in the stock markets. The bounce was assisted by tropical storm Debby threatening oil refineries on the US Gulf Coast, however, crude prices are dipping this morning in line with the general risk aversion.